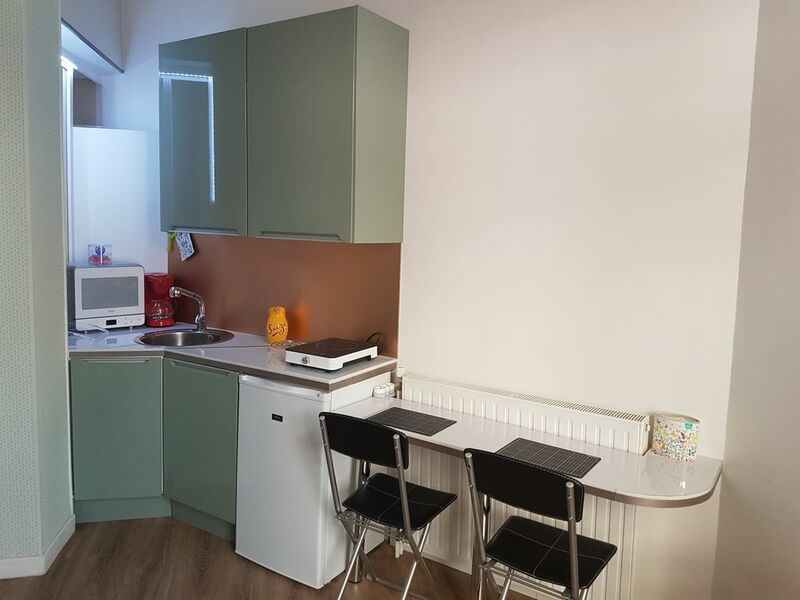 Całkiem studio 18 m2 w pełni odnowione, dobrze wyposażone, komfortowe, jasne, na parterze bardzo centralnej budynku. Naczynia. Pościel i ręczniki. Wszystkie udogodnienia w sąsiedztwie dworca kolejowego Doktor John pobliżu Avenue i tramwajowy 5 minut Massena 10 minut, Stare Miasto i plaża w 15 minut spacerem. Mieszkam w tym samym budynku i będą do Państwa dyspozycji w celu ułatwienia swój pobyt, jeśli chcesz. The studio is in a really good location in the heart of Nice. Annick was very nice and welcomed us warmly. We spent five days in this studio which, for our taste, was too long. I would only recommend this place for really short visits since it is quite small and there is not much place to store luggage. What also needs to be commented is the noise situation. The studio is basically located at a busy intersection and it is on the ground floor, so you also hear people's conversations right next to the window. But again, for a weekend trip the place can be recommended, for our purposes it was not suited that well. Bien situé ce qui compense le fait qu il est au rez très propre agréable déco. Que du bonheur ! Très bon week end avec ma compagne dans le cadre de l'IronMan de Nice. Je suis agréablement surprise par ce séjour qui a été très agréable, le studio est fonctionnel et permet d'accéder facilement à Nice. L'hôte est très compréhensive et de bon conseil. Muy cerca de la estación de tren Nice-Ville. Cama cómoda. La anfitriona muy amable. Clean, quaint, and just what we needed! Annick was a lovely, helpful host. The studio is quite small but well equipt, clean, and a quick walk from shops, restaurants, and the beach. Would definitely recommend!